Make the most of your camera! Win prizes, money and rewards with your best photos. 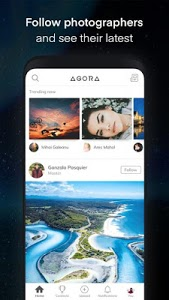 AGORA images is a global photography social network that connects professional photographers, just like you, and lets you enjoy the best photo content on the planet. At AGORA images, your images will always be yours, as they are protected by a watermark. Take your camera, take your best photos and win money and great prizes. We all have a unique point of view and our photos prove it! 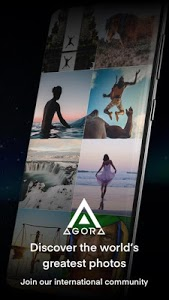 Join the AGORA images community, register for free and upload your best pictures. Discover, follow and connect with other photographers on this social network of photos. Participate in contests to win prizes and earn money with your best images. 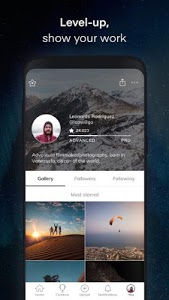 Earn stars and reach new levels as a photographer every time you upload a new photo, for every vote your photos receive, for every new follower you get, and for being one of the top images or winner in a contest. Find spectacular images through our photo finder. Share AGORA images on other social networks and win stars. In AGORA images there are 4 levels. Your level as a photographer will depend on how many stars you have accumulated. You can earn stars by uploading photos to your photo gallery, participating in our photo contests and making it appear in our trends section. 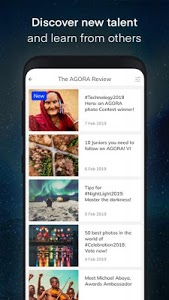 And for every friend you invite to enjoy the content of AGORA images you will also win stars. Do you have good pictures? Take part in the contests now! Participate in our contests with your best images to compete with other users on the platform and win money or win prizes. If your photo is the most voted you will win thousands of dollars. And don't forget to vote for your favorite photos! We organize new photo contests every week! Each contest is related to a different concept so that all our photographers can participate in the theme that best represents them (#Love, #Landscape, etc.). 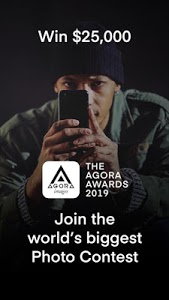 The biggest photo contest the world has ever seen, the AGORA Awards 2019 have officially landed at AGORA images. And now it's open for you to submit your top pictures! The winner of our photo contest will win our biggest prize to date, $25,000! And if that's not enough, the 50 top photos will also win a series of incredible prizes that we'll announce throughout the year. What is a sponsored contest? 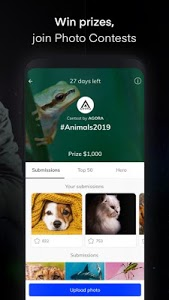 Brands sponsor photo contests with a specific theme where users can win prizes and win real money. The winner of the contest will receive the prize and 100,000 stars to reach new levels as a photographer. You can improve your chances of winning a contest at AGORA images. Make sure you upload your best photo and that it follows the theme of the Contest. Tag your best photos with the appropriate hashtags to gain greater visibility. 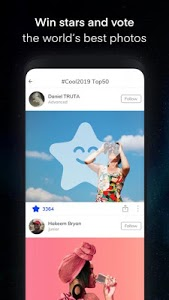 You can also share Contest photos directly on your social networks, inviting your friends to download the app and supporting your photos with stars. 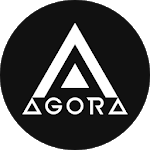 The AGORA images app is compatible with all Android 6.0 and above - Marshmallow models. Wondering what’s new on AGORA? We’re excited to share some features with you... Keep an eye on how your photos are doing in our Contests with the ‘My photos’ tab located above all other submissions. Now introducing Credits! Credits are your AGORA currency. Get unlimited Credits by inviting friends to AGORA. You love AGORA share it with the world! Similar to "AGORA - The best images by people of the world"